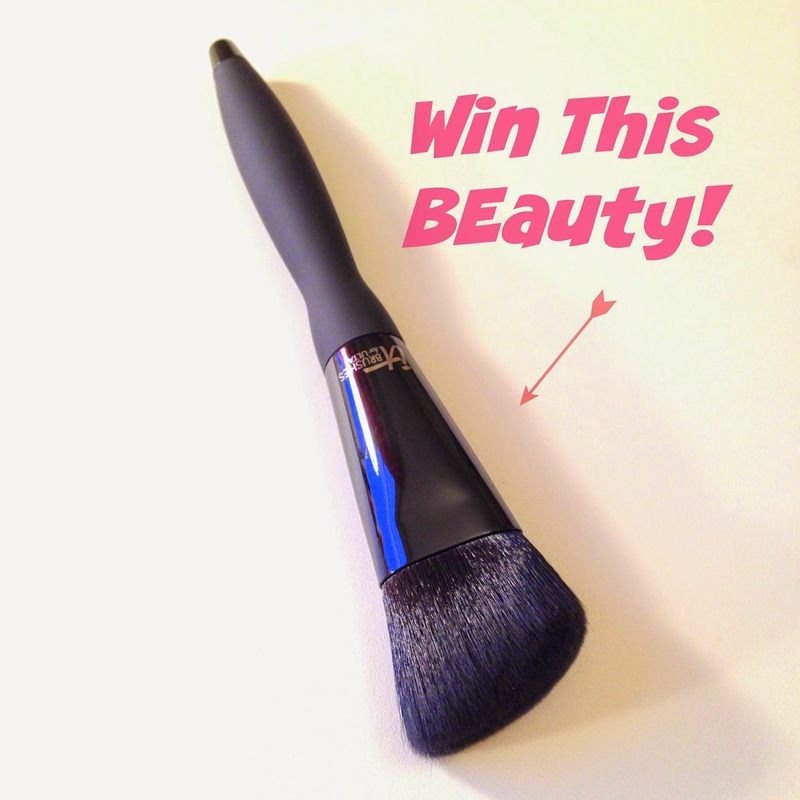 Fashion Maven... Mommy: IT Cosmetics Brushes for Ulta - Your 12 Must-Haves PLUS GIVEAWAY!!! IT Cosmetics Brushes for Ulta - Your 12 Must-Haves PLUS GIVEAWAY!!! 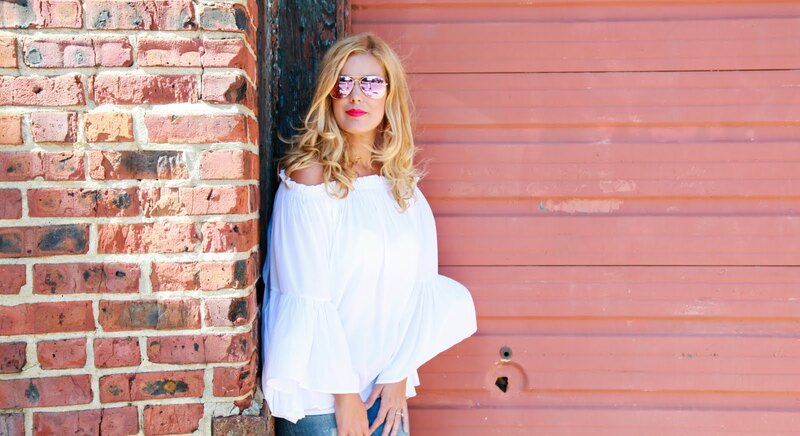 It's no secret that I'm a HUGE IT Cosmetics fan! 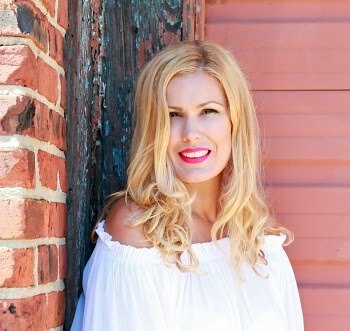 In fact, i am not only madly in love with their amazing skin loving makeup but their brushes are easily the best in the business! Sorry MAC, but it's true! If you've ever had the pleasure of playing with one of IT's brushes, you know what I'm talking about. They're quality is a step above everyone else in the business! They're soft, luxurious and create the most perfect makeup application one could ask for! As soon as IT released their spectacular collection of brushes exclusively for Ulta, I quickly made my way to a couple of stores in search of the ones i wanted! I probably stood in the aisle for a good 15 minutes just swirling all the brushes against my hands. Wow! They feel incredible and I'll tell you, i used every ounce of restraint to not walk away with the entire collection! A couple of weeks later, a pretty little package arrived at my door with IT's 12 Must Have brushes from the Ulta collection and i swear, i may have hyperventilated a bit! I quickly opened the package and had a swirl party! Yes, a swirl party... you know, swirling these beauties on my face and hands for a long time while grasping the fact that they're mine!!!!! 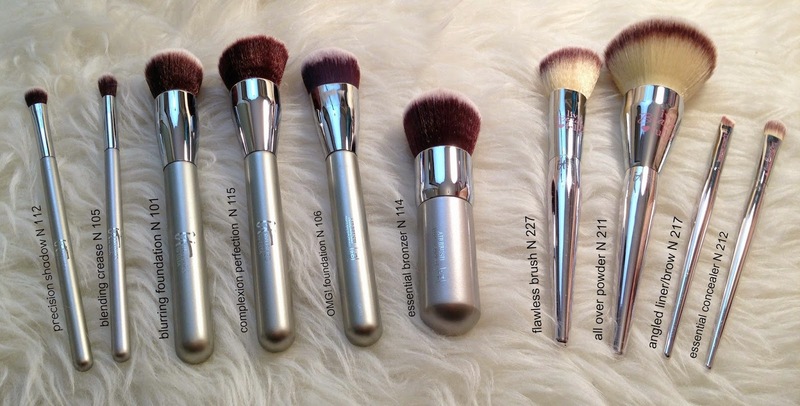 So here are the 12 essential brushes you'll need from the collection! Airbrush OMG! Foundation N 106 - OK, I'm not gonna lie, when it comes to foundation, i typically use my beauty blender because there are very few brushes out there that actually do a good job at creating a flawless application. Well, this beauty is the only brush that I've ever tried that creates the most flawless, airbrushed effect with my foundation or CC cream! Wow! This super dense paddle brush deposits and seamlessly blends in color for a perfect application every single time! 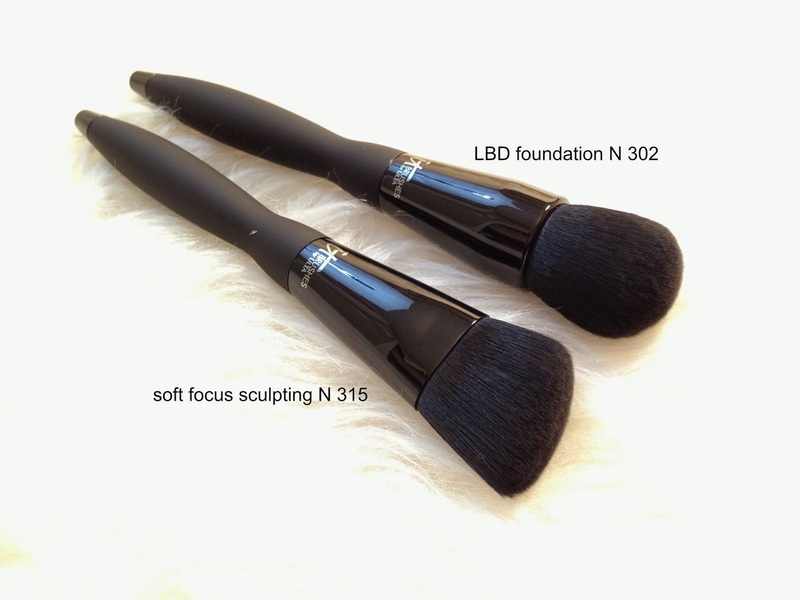 Velvet Luxe LBD Foundation N 302 - This brush is your beauty BFF for your favorite liquid, powder and cream foundations. This multi-tasker is incredibly luxurious and feels amazing against the skin. To use, simply blend in sweeping motions. This brush is custom cut to easily apply under the eye, around the nose and around the brow. Live Beauty Fully Essential Concealer N 212 - This brush is perfect for applying liquid and cream concealers. While it does an amazing job at applying my holy grail concealer Bye Bye Under Eye, i actually think it makes an amazing eye shadow brush! I often use it to apply color across my lid. It works especially well with cream shadows! Airbrush Blurring Foundation N 101 - This beauty is also wonderful for applying your favorite liquid, powder and cream foundations. The dome-shape allows for controlled, easy to buff on application all over the face or spot complexion application. Airbrush Complexion Perfection N 115 - This beauty is designed to apply liquid, powder and cream foundations. I find that it works especially well with powder foundation! This densely packed and precision cut angled shape hugs the planes and curves of your face for the perfect application. Live Beauty Fully All-Over Powder N 211 - I use this brush every single day to set my CC Cream with Bye Bye Pores. It's so luxurious and feels amazing against my skin. You can use it with both loose and pressed powders. The large, fluffy rounded shape is perfect for dusting and blending all over your face and body. Velvet Luxe Soft Focus Sculpting N 315 This beauty is perfectly designed for applying your favorite cream and powder bronzers and luminizers! This was actually one of the brushes i purchased when they first released the collection! It's perfect for contouring! So guess what? Since i already own this beauty, i thought I'd share the brush love with you! I'm giving this beauty away to a lucky FMM reader! It's not exactly easy to part ways with an IT brush, but since i already have the same one, i really want you all to experience just how amazing these are! More details about the giveaway when you scroll down! Airbrush Essential Bronzer N 114 - This brush is essential for your favorite cream and powder bronzers. I love this as an all over brush! It's great to sweep bronzer all over your face for a warm sun-kissed glow! However, this brush has a dense, cropped shape for targeted color application and is the perfect tool for highlighting and contouring. Live Beauty Fully Flawless Brush N 227 - This is a versatile brush that is great for cream liquid and powders. Its dense, angled shape is designed to hug the cheek contour for natural looking color placement. I use it to apply my favorite CC Ombre Blush! It applies beautifully! Airbrush Precision Shadow N 112 - This shadow brush is wonderful with both powder and cream eye shadows. This beauty works well to sweep color across the lid as well as the crease of the eye. I use this daily and absolutely love it! Live Beauty Fully Angled Liner/Brow N 217 - Your beauty BFF brush for your favorite powder, cream and gel eyeliners and brow products. OK i need at least another one of these. This brush has been a life saver for me. I've been using it to apply my eye brow powder as well as liquid liner. It's so precise! I'm absolutely in love with it! An absolute must have for me! Airbrush Blending Crease N 105 - This beauty is essential for your favorite crease eye shadows. This is definitely another favorite of mine! It creates the perfect impact on the crease! I also find that it's a great blending brush which is why i think this is another one i need to have two of... one for blending and one for creating the perfect crease application! Its narrow, tapered head seamlessly fits in the crease of your eye for perfect definition and impact. There you have it, the 12 Must-Have Brushes! Be sure to take this list along with you on your next shopping trip to Ulta! Believe me, this will simplify things for you. I remember feeling so overwhelmed by the incredibly awesome array of choices! This is a good starter guide... you can always continue to build your collection and add a few more of their amazing choices! Either way, you'll love these beauties! I need a new makeup brush. I've never seen these brushes. They are gorgeous.Great giveaway! Thank you!